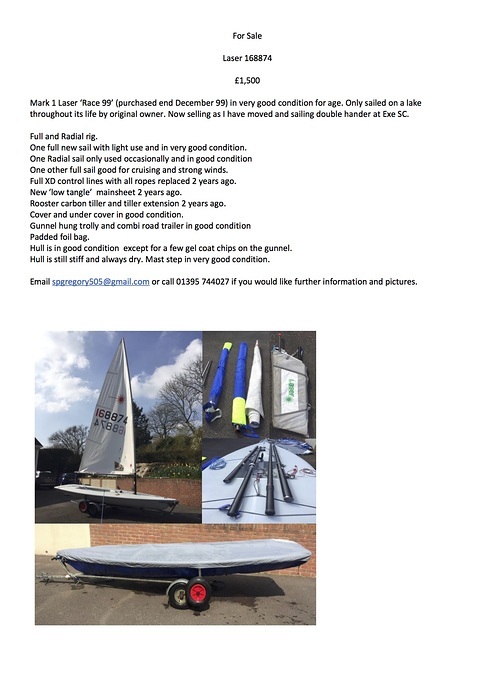 NOTE - If you would like to add an advertisement to this page please email the details to info@axeyachtclub.co.uk (+ any photos as separate JPEG attachments please). Adverts will be be removed from this site after two months. 6 person Lifeguard Life Raft still in original cover.